The phrase ‘keeping a roof over your head’ is often used metaphorically. It’s about ensuring that you have shelter – a safe, warm place to call home. But on a literal level, the phrase rings true as well. Without efficient roof maintenance, you and your family are exposed to excessive sunlight, rain, wind, and possibly hail, even though we don’t have much here. Whichever kind of roof you have, it needs to have good drainage. If you’re installing a new roof or revamping an old one, and you need reliable roofing service, Sydney serves as the home base for All Roofing Services (ARS). 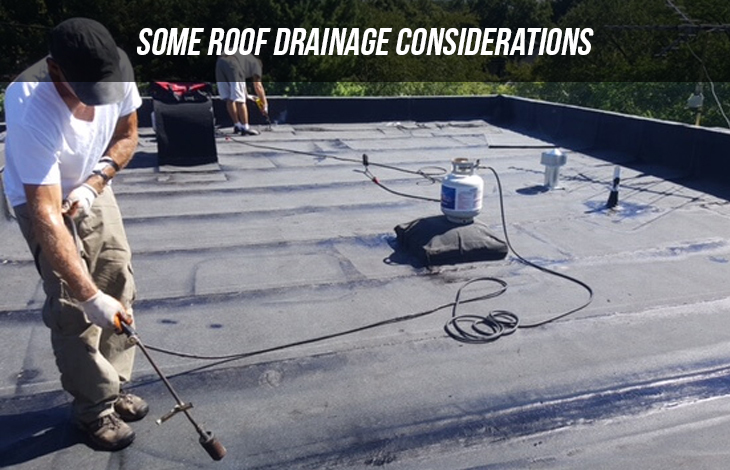 We can advise you on the best way to deal with your roof drainage challenges. In this sense, pitched roofs are better, because they guide water off the roof, reducing the amount of time it stays on the surface and reducing the risk of water pooling on the roof. 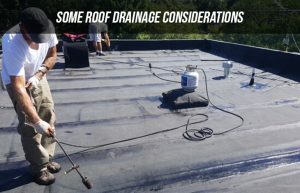 The roof should also be equipped with adequately aligned gutters which collect the water that slides off the roof and leads it to the right place. This might be a water tank or a stormwater drain. Gutters are essential because, without them, the massive sheets of water will hit the ground beside the house. This can cause splash erosion, soiling your walls. The accumulated groundwater could cause rising damp. ARS offers two speciality forms of roofing: Colourbond and Zincalume. Both types are waterproof and have UV protection. There are different profiles of roof sheeting to fit different types of roofs – all sheeting, when correctly installed, will ensure that the water ends up in the gutters and not in your house. When we install a roof, we ensure that it meets Australian Standards, with the correct guttering and number of downpipes, and that the gutter falls towards the downpipe.. We also install sumps, flashings, gutter guards, and rainwater heads. Also, we clean, repair and maintain gutters. For advice on roof drainage and other roofing matters, call All Roofing Services today on 02 8086 2059.